Anywaaay, I just wanted to share with you guys a recent purchase I made that I have been obsessing over for a while now (fashion bloggers Jacky, Rovie and Angel can attest to this!). I think I'm finally catching on. It's these gorgeous red velvet (not cupcake! :p) shorts from The Posh Wardrobe. I don't normally fit well into shorts from online shops because their sizes run really small and that makes me sad, which is why I don't wear them often. But I guess I'm lucky enough that I fit into the ones from The Posh Wardrobe! This is the second pair I got from them and now I'm obsessing. The first is the lace matelot shorts which I've worn quite a few times already: here, here, and here! What I like about The Posh Wardrobe is that their pieces are really trendy and youthful. Plus, based on my experience, when you order through the Multiply Marketplace platform, they ship fast! If you are able to pay early during the day, they're most likely to send out your orders on the same day--and expect to receive it within 1-2 days. 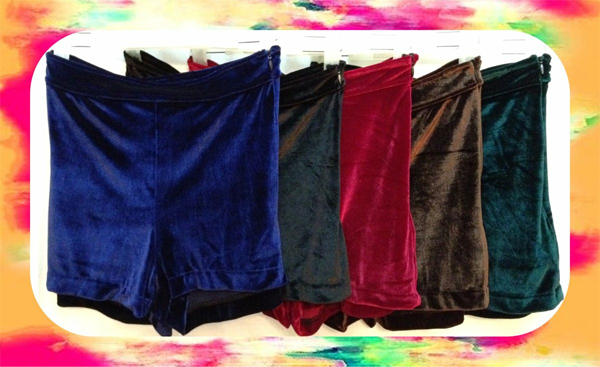 So now, for the velvet shorts, I'm actually thinking if I should get this in other colors too. What do you think? I'm thinking either the blue or the green one :) Which one's your favorite? The Posh Wardrobe actually has a treat for you! 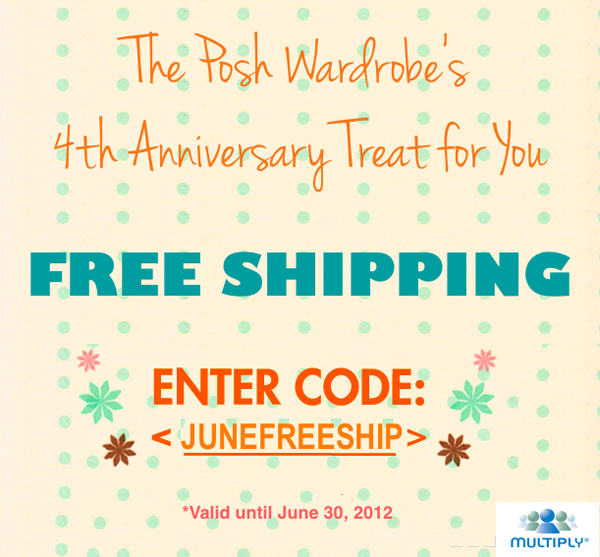 Enter discount code JUNEFREESHIP and you can get your items shipped sans the shipping fee! This is available only through the Multiply Marketplace and will only be valid until June 30, so go pick your stuff out! Check out their online shop HERE. They have really pretty tops too! I love Posh Wardrobe too. The style are trendy and the price are very much affordable to every ladies out there. I think so too :) It's worth the hassle-free shopping too, just from the comforts of your home.